As a student of entomology, I feel this obligation, as an “Insect Ambassador”, to go out and spread the word of insects to the unenlightened masses (without sounding like I’m starting a cult). I know the answer to that seems obvious. But you’d be amazed at the number of times I have heard people ask that question. Along with, “well, do they feel pain?”. But I’m not here to judge. I truly believe people’s lives can be enhanced by learning more about the living world around them, a large component of which is made up of insects. While I would love to trumpet about insect extinctions (pesticides and the like), and the need for their conservation, I feel like a reminder of the diversity of insects in our world is important. There are roughly 5,500 species of mammal on earth. Birds are almost double this figure. Fish make up a pretty impressive 32,900 species on earth. 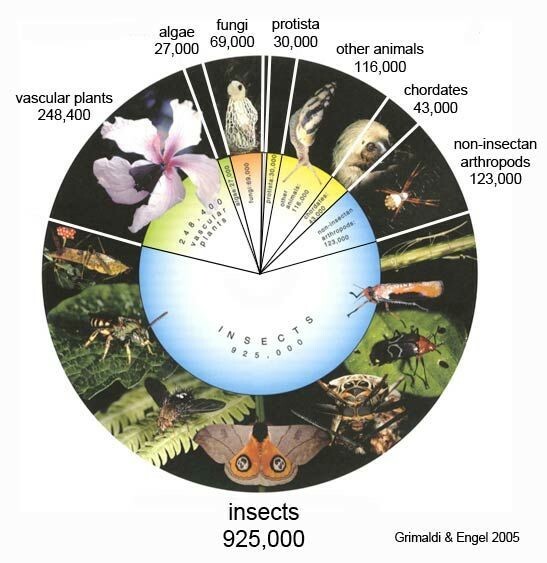 However, insects steal the show with a whopping 1,000,0001. Yes, that’s a seven figure sum. It is even widely accepted that this figure is a gross underestimation, with some experts predicting the number to be as high as ten million. Of this, the beetles (Coleoptera) make up 40% of the insects, meaning that beetles are 25% of all animal species on earth. Okay, okay so there are lots of insects. Why should you care? What’s in it for you? Insects provide a number of services that are widely used by us humans. 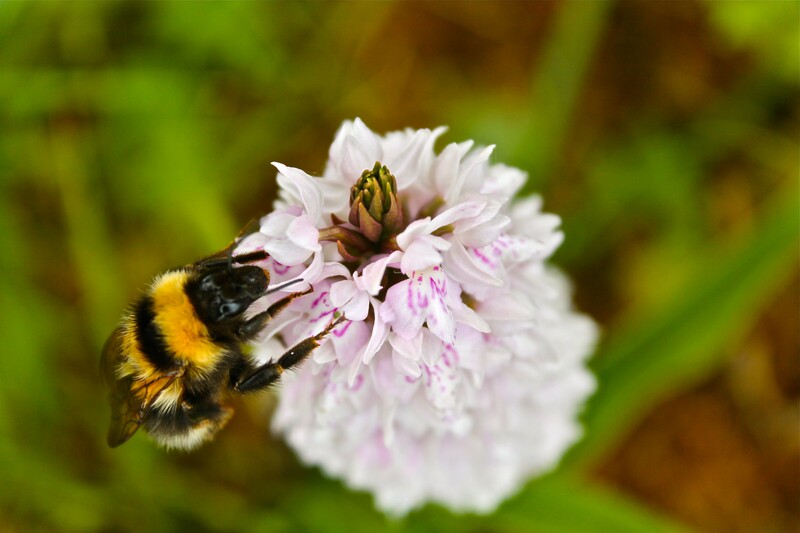 Apart from the obvious one, pollination – often attributed to the cute and fluffy bumblebees – other services like pest management, dung burial and nutrient cycling are just some of the jobs insects can be proud of. Dung beetles, a favourite of mine, scour the earth following mammal herds and cleaning up after them. A male and female will pair up and make a neat sphere of the dung, to be rolled away and buried. The female will lay their offspring and wait for it to develop, inside this nutritious medium they have provided, as the good parents that they are. This service is key in regulating the ecosystem as part of nutrient recycling, we should be grateful that these insects are doing it free of charge. Many wasps provide an important role as pest controllers. Through cruel, but fascinating life cycles, they live to kill many agricultural pests such as whitefly and aphids, often through the laying of their eggs inside the larvae of a pest. Even those pesky little earwigs that everyone seems to dislike, provide an important role in regulating pest levels on hop farms. Next time you see an earwig and are about to swipe it dead with your shoe, think of them and their role in enhancing the quality of your beer. As for the direct creation of products used by us humans, insects are used in industries such as silk production (sericulture), shellac production (used on vinyl records) and in the making of cochineal (red pigment used in make-up). I could go on and on (as if I haven’t already) and describe the multitude and vast examples of roles insects play in the governing of our environment. It’s about time we pay them the respect of caring for them, and implementing change to aid their survival. For other animals, ad campaigns are highly successful. However, I am pessimistic about this working for insects, even the cute ones. Picture this: an ad comes on the television with it’s melancholic music and begins to tell the viewer of the great loss we will suffer if the bumblebee is to decline any further. It shows stills of dead bumblebees, paralyzed by pesticides as they search for nectar. The ad zooms out to show a healthy bumblebee and asks the viewer to please donate, just €2 a month, to save the bumblebee. Why don’t advertisements like this exist? Why don’t bumblebee charities raise money in this way, like most other animal conservationist groups do? The answer is that is doesn’t work. At least, I don’t think it would. Humans are simply more perceptive about charismatic, cuddly and friendly animals. Unfortunately, bees don’t scream “hug me” as they buzz past you while you’re sipping your juice. We have to have higher hopes for ourselves; that we can truly distinguish the need to prioritise the conservation of certain species, regardless of their appearance. My life has been enriched by studying insects. Learning about how much work they provide for us, without asking for anything in return, has made me appreciate them and given me a newfound passion for spreading their infinite importance to our world. I have been converted, “born again”. And although the religious references may seem funny, it really does feel like a leap of faith to become someone who loves insects. This doesn’t mean that I can’t love other animals too, and I do, but soon after hearing about insects’ discrete way of going about and running the world, I had no other choice but to become an Insect Ambassador. I don’t expect everyone to become as passionate about the little beasties as I am, but even if people cared a little bit more about them, regardless of their size, the world would be a better place. Small does not mean insignificant. The World Conservation Union (2014) IUCN Red List of Threatened Species 2014.3. Summary Statistics for Globally Threatened Species. Table 1: Numbers of threatened species by major groups of organisms (1996–2014). Grimaldi and Engel (2005) Evolution of the Insects. Cambridge University Press.